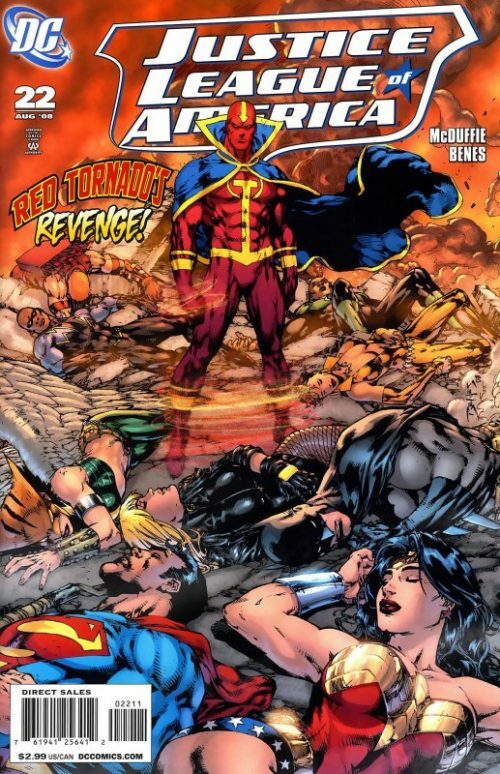 In Ivo’s lab, Red Tornado is forced to watch through the portal as Amazo threatens to hurt Kathy. High above New York, Vixen struggles to maintain control over the animalistic side of her personality. She senses her totem nearby and smiles. In Markovia, Brion Markov steps out of the shower, only to see his Butler’s puzzled expression. The Butler asks why he is wearing a costume, and Brion doesn’t seem to realise he is wearing one until he looks down and sees it on him. 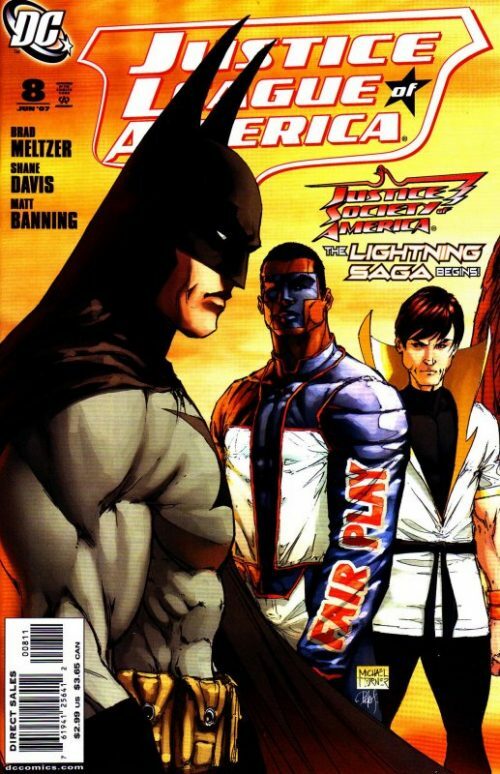 He tells Declan (his butler) to ready his jet, as he is heading for Gotham City. 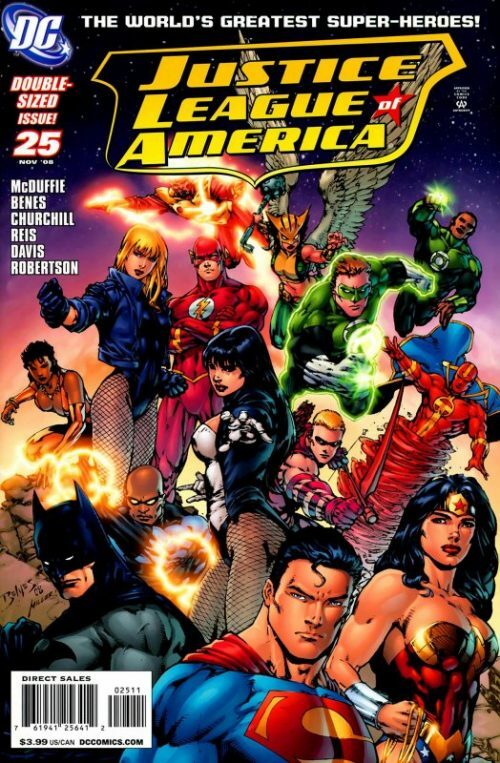 Outside Kathy Sutton’s residence, the League attacks Amazo. 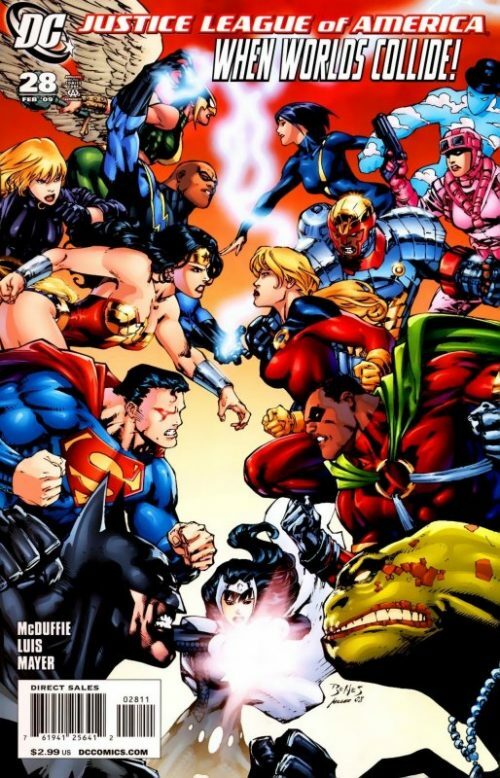 Wonder Woman binds him with her lasso while Superman goes for Amazo’s eyes with heat vision. 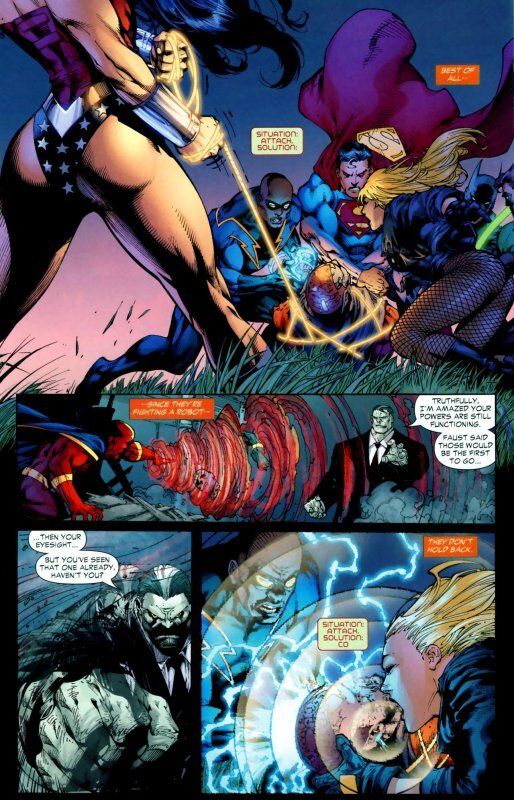 Batman and Green Lantern try to saw off Amazo’s legs while Black Canary and Black Lightning attack his ears (the antennas he uses to take in power). Roy remarks at how well coordinated it is, and it should also be noted that the entire assault by the league happens faster than Amazo can react by using Parasite’s abilities. However, once he begins to use Parasite’s draining ability, the League fall fast. 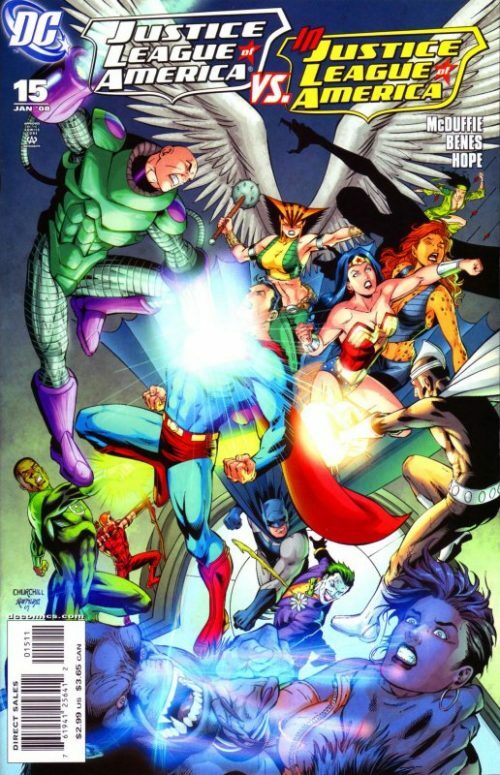 Hal Jordan, Superman and Wonder Woman are the first to go down. Hawkgirl tries to strike Amazo with her mace, but he uses Plastic Man’s abilities to absorb the impact. Kathy Sutton points the Mega Rod at Amazo again, but it is Roy who distracts him by hitting Vixen’s totem on his back. Both Vixen and Amazo feel the impact, Vixen now knowing where her totem is located. 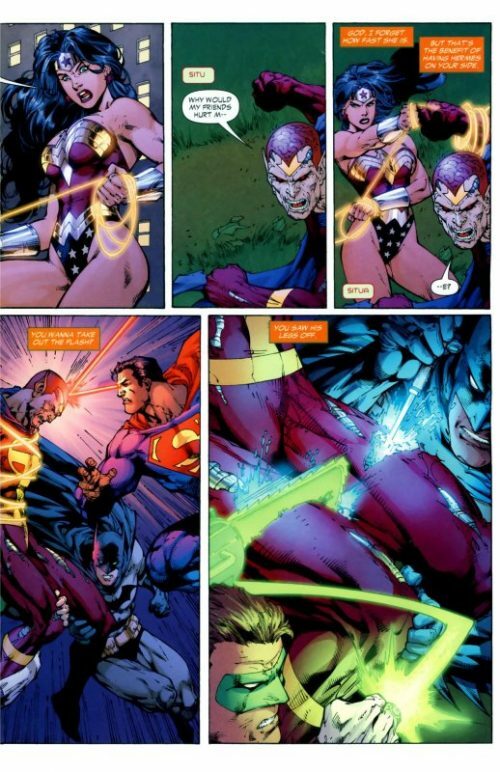 She dives from the sky, channelling the strength of a triceratops as she dives straight through Amazo, disabling him. 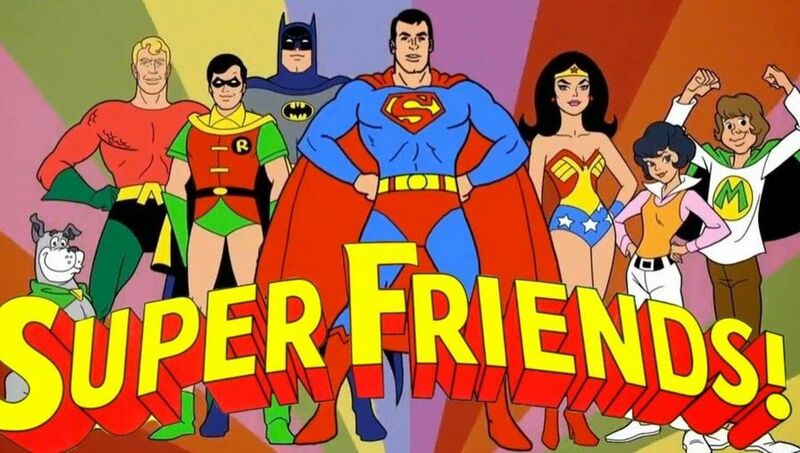 The rest of the League realise that without Amazo’s ability to control all the power he has taken, he is in serious danger of losing containment. 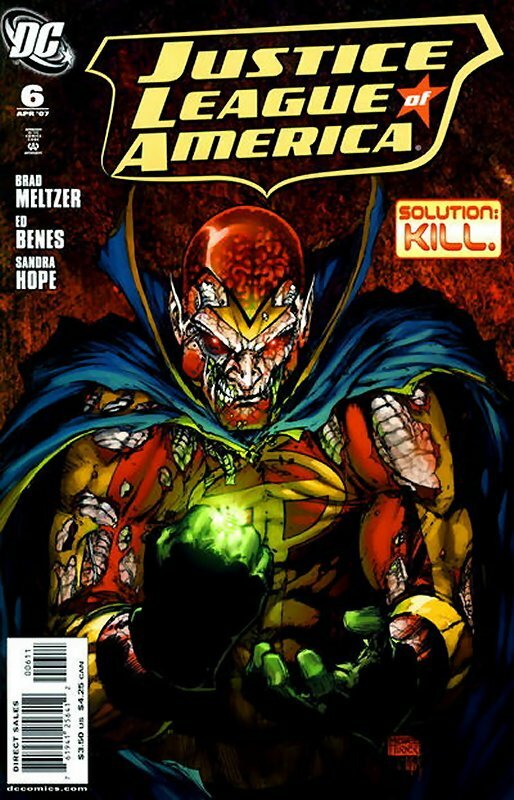 In the lab, a bloodied Red Tornado tries to fight back against Solomon Grundy. He takes a glove from one of the damaged Tornado androids, and uses its lighting blast to hurt Grundy. And hurt Grundy he does, who is so enraged by Tornado’s attack that he tears off Tornado’s right forearm. Kathy watches through the portal, crying his name. Grundy then proceeds to eat the arm, before lunging at Tornado yet again. This time though, Tornado finds the strength to fight back, using his wind powers to create an incredibly powerful wind vortex. Grundy digs his heels into the ground, and even survives being impaled by shard of metal travelling in 200mph winds. Grundy comes at Tornado, but Tornado is too powerful, eventually pushing the winds to 300mph. This proves too much for even Grundy, who is killed when he is torn in half by Tornado’s winds. Soon after, Green Lantern and Superman manage to open the portal, letting Kathy through, where she cradles the dying John Smith in her arms. He tells her he’s about to die unless they put him back in his old body, and he passes out. He wakes up a while later, back in his old body, knowing what he’ll miss for the rest of his life.